At the center of the campus of Southern Illinois University Edwardsville is the Stratton Quadrangle, better known as the Quad. It is the main gathering space for students and a pathway to core campus buildings. Deteriorating, uneven, and missing bricks initiated an investigation to determine the feasibility of replacing 45,000 square feet of brick pavers with a permeable paver system. Storm water permeability tests were performed to determine if the new paving system could manage storm events within the Quad. The results indicated favorable conditions for the new permeable pavement system, which allows stormwater to pass through the surface to the soil below, filtering pollutants. Oates Associates explored five layout options for the permeable pavers. Alternatives included different patterns and colors for visual interest as well as to improve the flow of people. 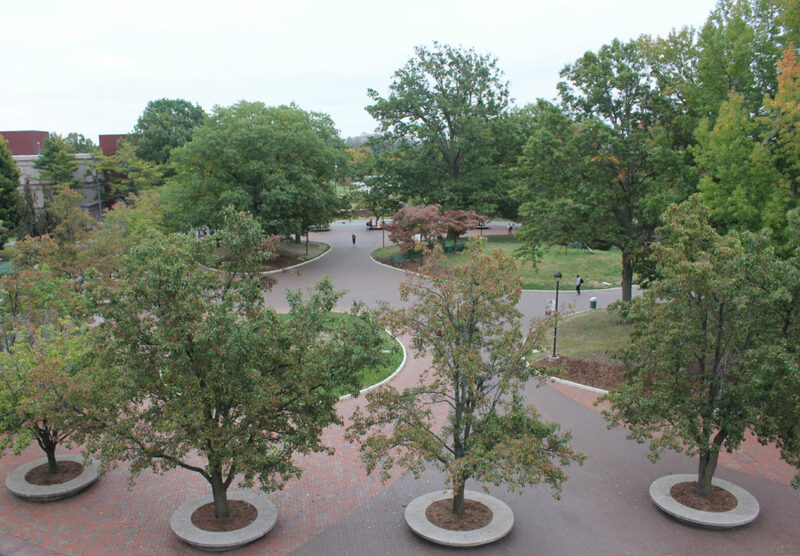 Oates developed plans to regrade the Quad to accommodate Americans with Disabilities Act (ADA) slopes for patio areas. New porous pavers were laid out in a herringbone pattern over a new aggregate storage bed. 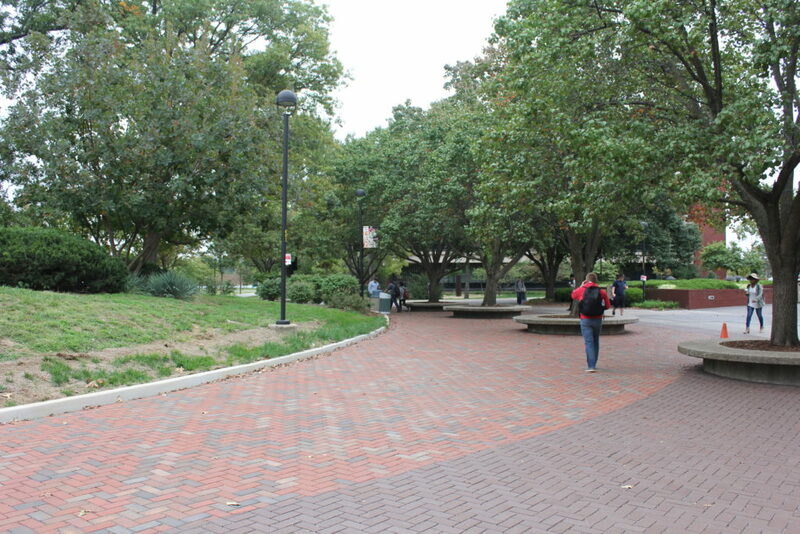 Pavers with shades of red surround greenspace and a dark accent paver creates a path that leads pedestrians to the center of the Quad. New bench seating around landscaped areas and shade trees were identified for replacement. Oates Associates also provided construction phase services, including bid assistance, construction administration, and construction observation and testing.